Nothing says baseball like buffalo sauce on your grubby little fingers. 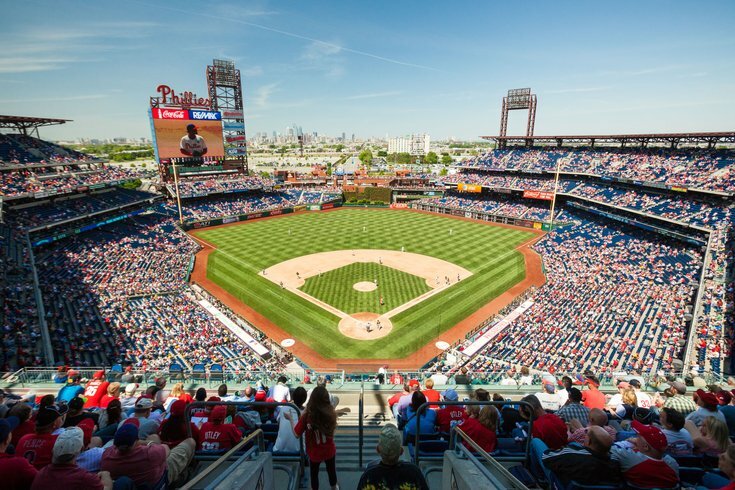 Citizens Bank Park is adding another local chain to its food offerings this season. P.J. Whelihan's, the bar and restaurant with 16 locations in Pennsylvania and New Jersey, has added a location in the ballpark's Ashburn Alley section. The addition of a Whelihan’s comes along with new Aramark menu items being offered at the ballpark this summer. A smoked brisket taco trio, a crispy chicken sandwich, a vegan cauliflower cheesesteak and an edible cookie dough are all available to Phillies fans this year. The main competitor for P.J. 's inside the park would theoretically be Chickie's and Pete's, which offers a similar menu and has locations on the main level and in the Hall of Fame Club. But those locations only offer the famous Crab Fries, and not buffalo chicken cutlets like at the Wells Fargo Center, which also has a P.J. 's and a Chickie's and Pete's. The Chickie's and Pete's is also in Ashburn Alley. My advice if you're going to a game hungry and willing to pay ballpark prices? Go early — the lines at the non-Aramark eateries get long fast — and grab an order of wings at P.J. 's, then go grab an order of Crab Fries. The best of both worlds in one meal.